Help us help you. 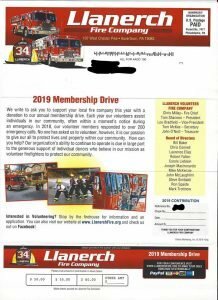 There are no paid firefighters in Haverford Township. Your donation is an important part of our annual budget to maintain our building and equipment. Yet only about a third of folks donate. Help make a differe nce and donate whatever you can.